Gather all of your tools before removing the tire. This way, you can be sure you have everything you need! Check back to the Quic Must-Haves for Changing a Trailer Tire for a checklist. Remove your spare as well, and place it near your work station. Once you have your tools, start with slightly loosening the nuts on the tire with the tire iron. 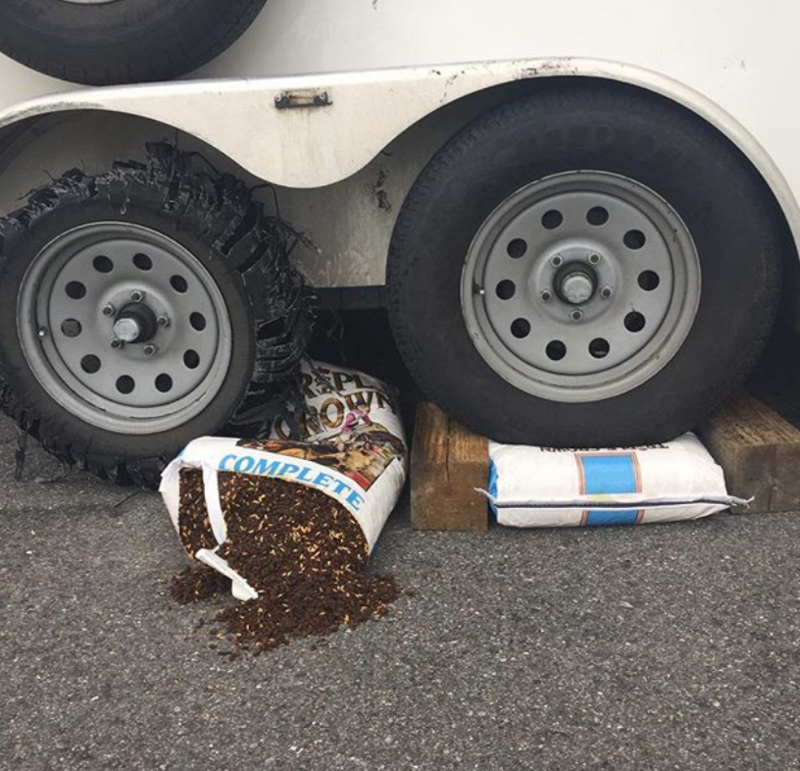 It will be easier to loosen the nuts while the tire is still on the ground because there is resistance from the weight of the trailer. Be careful you only loosen them a little bit, you still have to bring your trailer onto the jack! Next, drive the trailer slowly onto the trailer jack. Make sure you are communicating with your team (if they are with you) to avoid injuries! Continue loosening the nuts until you can pull the tire and wheel straight out from the bolts. Double check the axel, wheel well and wiring, to ensure there was no damage from the blown tire. Once you have checked, mount the spare tire onto the bolts, and twist the nuts to hold it in place. Tighten the nuts as much as you can with the tire iron, alternating in a “star-like” pattern. 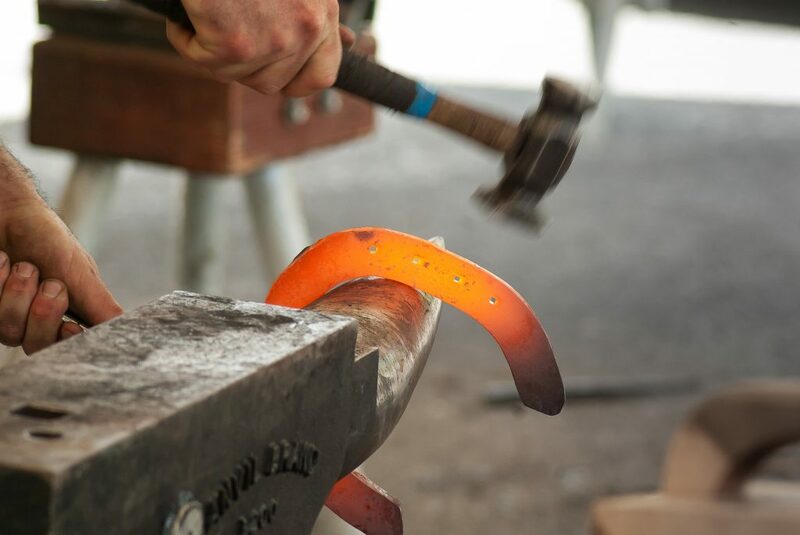 This will even out the wheel on the axel, which will help avoid another blowout or wobbling. Now, you are ready to drive the trailer slowly off of the jack, and perform a final tightening of the nuts! Make sure you check your trailer lights and your horses before driving off to the nearest tire shop! Typically, the answer is improper inflation. It is important to check the tire pressure while the tire is cold. If you check it after you have been traveling, then you will not have an accurate reading because the friction from the asphalt and rubber causes the tire to heat up. Once you check the pressure, fill your tires to the recommended level, not the maximum level! Another cause of tire blowouts could be overheating. This is caused by the molecules vibrating, and when the molecules vibrate, they expand. The constant friction on the tires is a recipe for heating and expanding! To avoid a blowout, because let us be honest here, that is a headache no one wants to add to the list, routinely check your tire treads with a coin. This will help you see the depth and wear on the tires. If the treads are shallow or flush, then you have waited too long to purchase new ones! We all know how nails can get in the nooks and crannies of the driveway or in the barn. Pay special attention while sweeping and blowing the barn to avoid nails in the driveway! They can puncture your tires and it may go unnoticed until the next time you are driving. We hope this helps you be prepared if you ever run into some trouble! Have you had a trailer tire blowout, and if so, what did you do? Send us a message and we would love to hear your stories!